‘I can feel something good coming’, Ciaran Hatsell. 16th June 2014 11.45am. 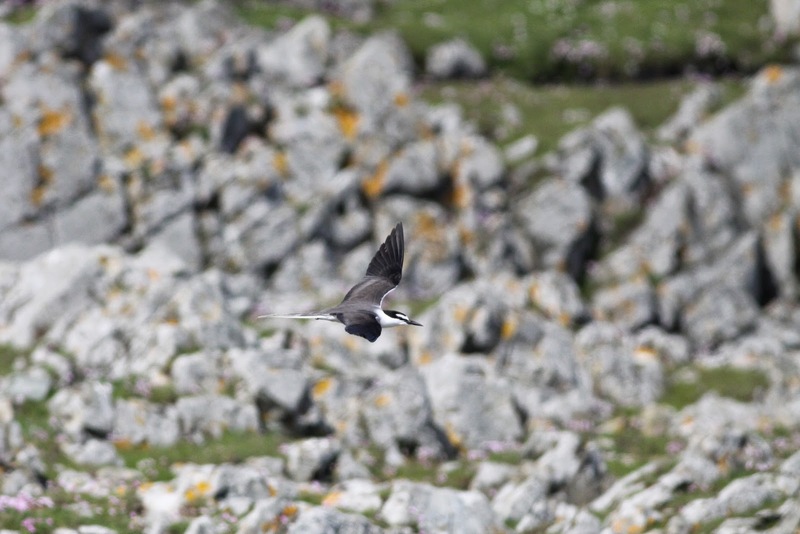 ‘I don’t think we’ll get to count the terns, there’s going to be something good found first’, Richard Cope. 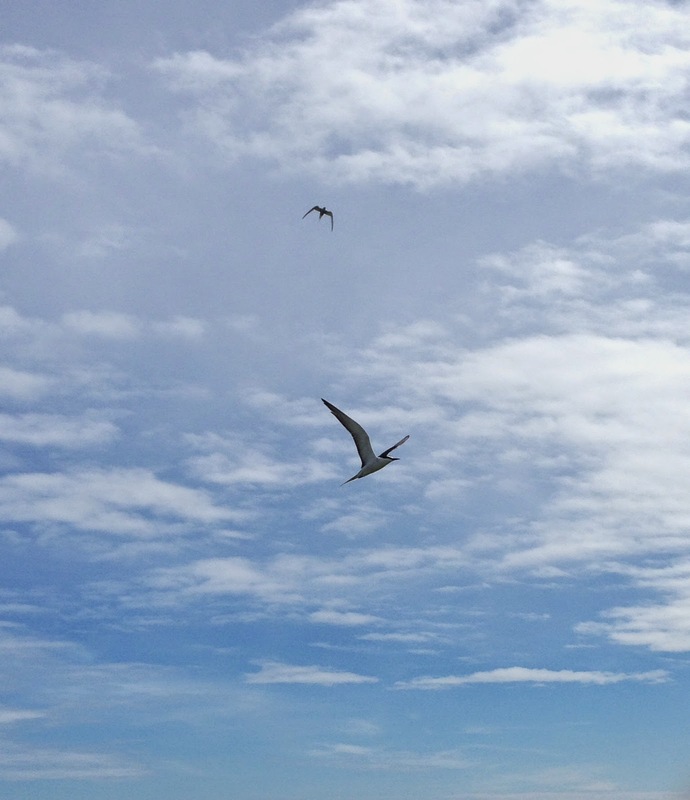 16th June 2014 2.10pm. My Assistant Wardens were certainly brimming with confidence that, despite a couple of days of north-westerly winds, we were due a good bird. 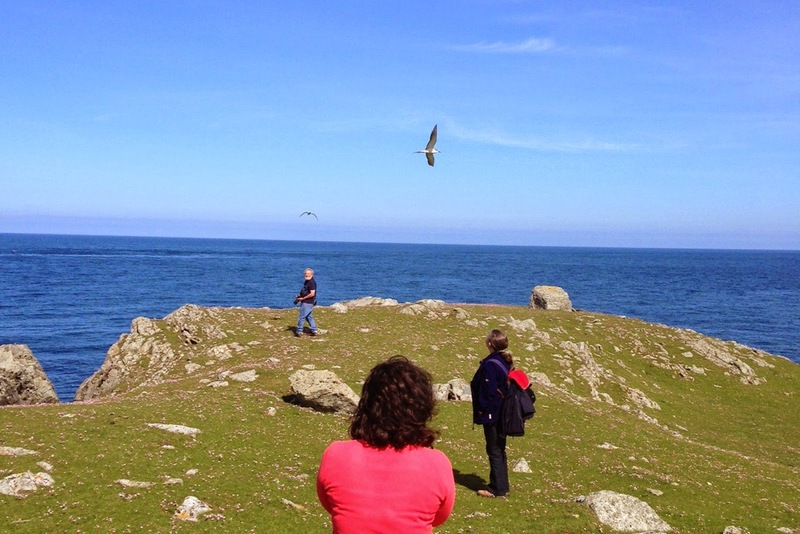 Still, with seabird monitoring work dominating the daily routine, our chances of finding something seemed diminished. Indeed, on a distinctly un-unlucky Friday 13th it was down to Rob to find the goodies, when (having finished his RSPB seabird tracking work for the day) a wander down the island to check the areas that the Wardening team hadn’t got to produced a Blyth’s Reed Warbler and cracking male Western Subalpine Warbler virtually side-by-side at Schoolton! The Blyth's Reed could be very skulky, but would occasionally show well (although this is the closest I got to a shot showing all of the bird at once). 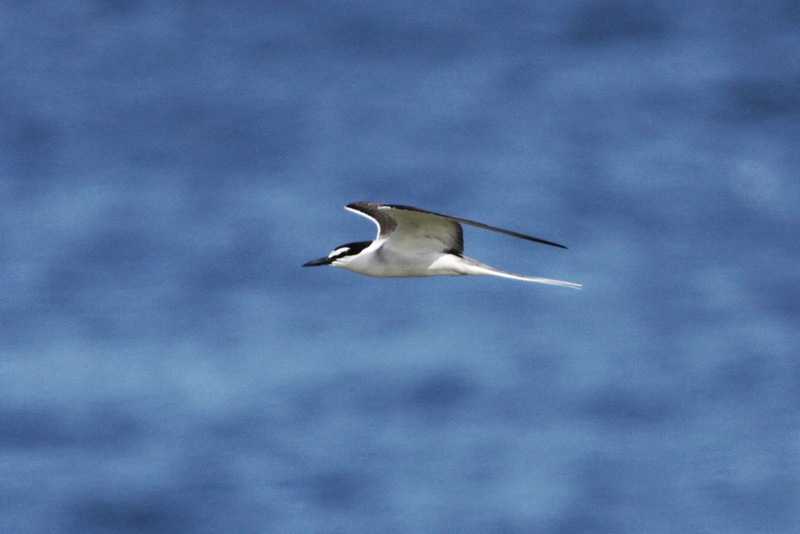 What I saw then caused my eyes, brain and mouth to fall horribly out of synchronisation, but despite my incoherent gruntings, the rest of the team were able to work out that I was pointing at a bird flying right over our heads – a BRIDLED TERN! 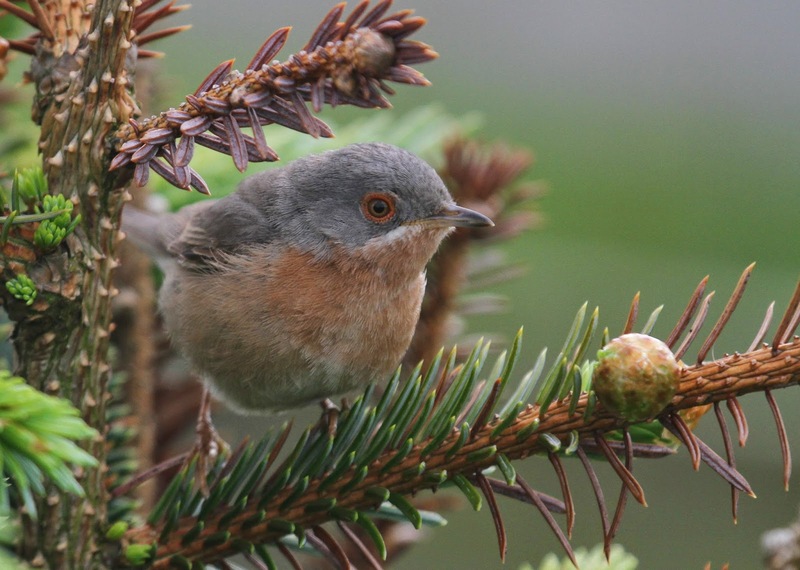 A very distinctive bird, but not one that was widely predicted to turn up on Fair Isle. 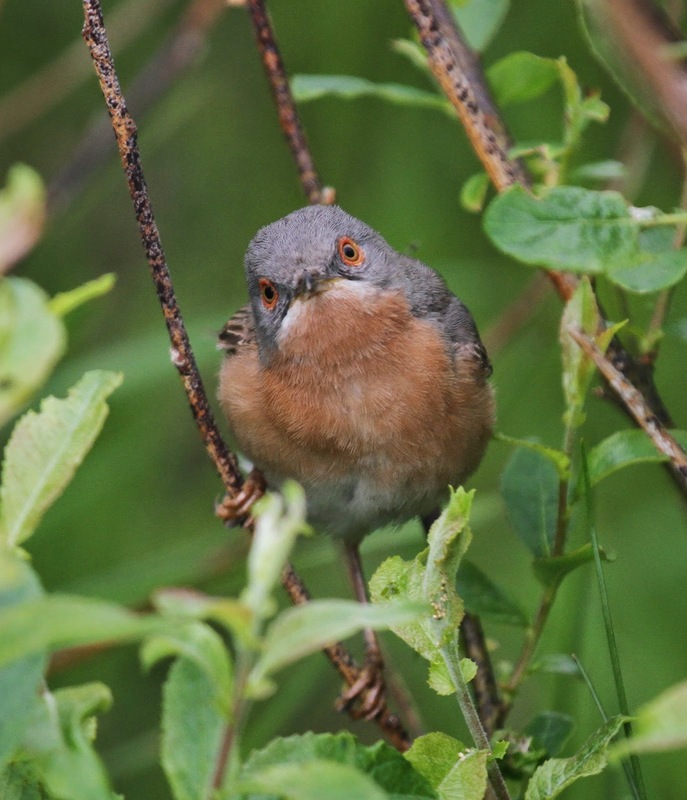 There was a classic moment of rarity panic as notebooks, canes and even cameras were dropped as we all took in the astounding sight of a mega rarity (the 6th Birdguides ‘!! !’ moment of the spring for Fair Isle) floating around just over our heads. Despite a slightly worrying half an hour or so when it disappeared, it eventually showed well to everyone on the island (including Nick Riddiford whose confident prediction that we’d get something good when he was off Fair Isle was thankfully proved wrong by less than two hours!) and even a few quick-off-the-mark Shetland twitchers who made it in on the last flight. There were a lot of happy faces in the sunshine this afternoon! 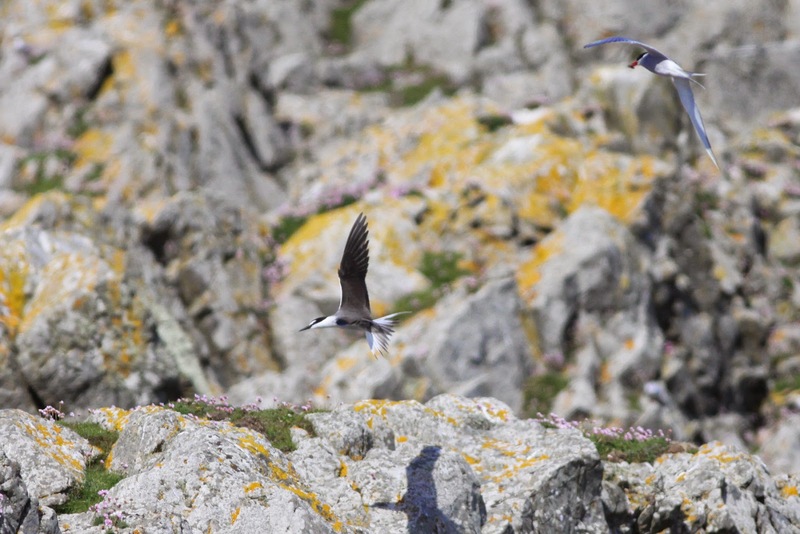 The Arctic Terns didn't seem to know what to do about the Bridled Tern, often mobbing it as it came in to land. 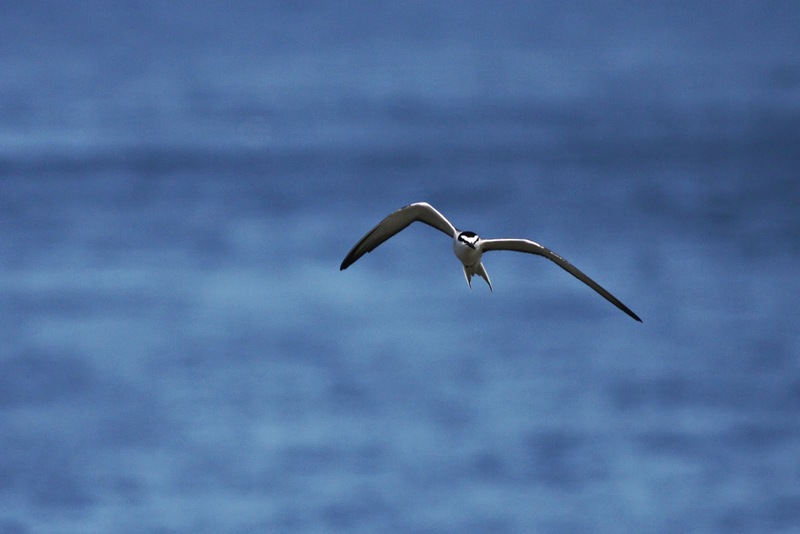 On occasions it was seen to follow individual Arctic Terns, seemingly trying to display to them (and at one point it towered up rather high as it joined in a display flight with a pair of Arctics). 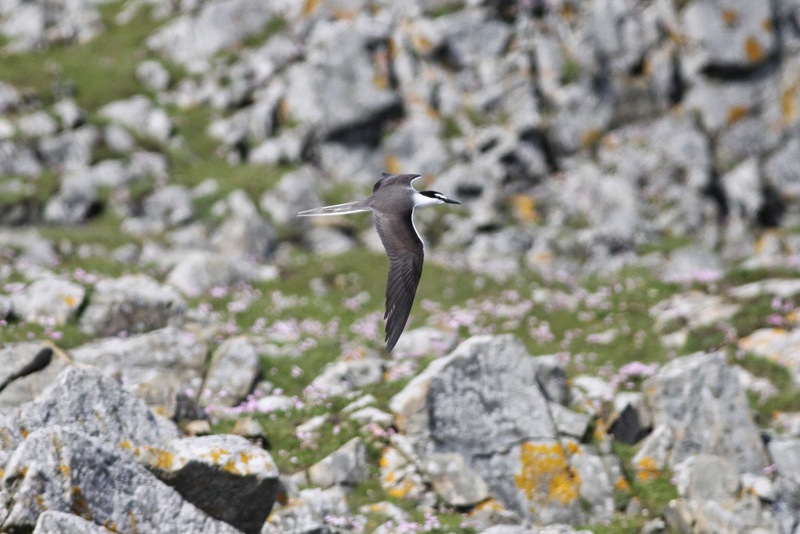 It's the first Bridled Tern for Fair Isle (and Shetland) and is presumed to be the bird that roamed the North Sea last summer. Last July I had a trip off Fair Isle that, on a birding level, proved to be a disaster; I missed Swinhoe’s Petrel, 8 Two-barred Crossbills, Marsh and Icterine Warbler and a group of Killer Whales. Thankfully, I caught up with most of the birds when I returned home, which made up for the fact that my plans to twitch Rock Thrush in Aberdeenshire and Bridled Tern on my former work place of the Farnes were both scuppered when they shifted off just as I got south. The fact that the Tern then went back to the Farnes after I returned to Fair Isle and even had a sojourn to the Ythan Estuary (about five miles from where I lived before moving to Fair Isle) made it a little bit personal between me and it, but all that is now forgiven! A total stunner and a superb bird to finally see! Surely it's the first first for Fair Isle that involves an individual that both the Assistant Wardens have seen the previous year (Ciaran from his time working on the Farnes, Richard from a fortunately timed visit to Aberdeenshire)! 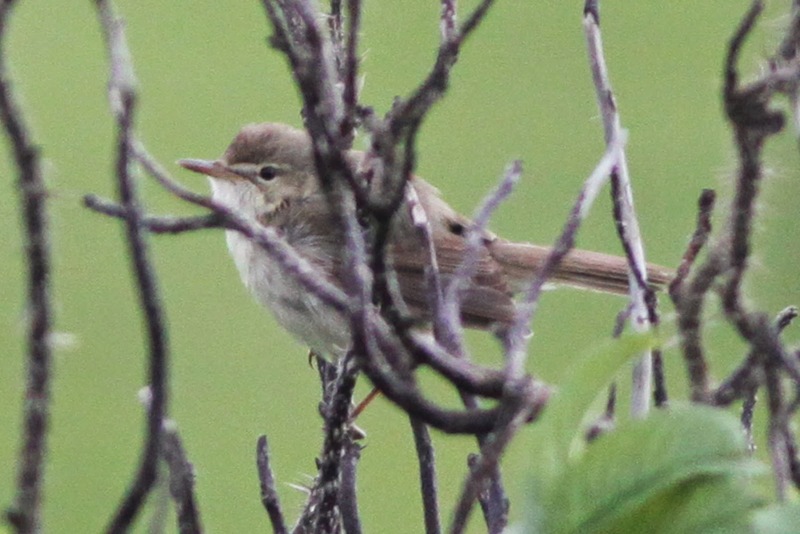 All the other recent sightings are at: http://www.fairislebirdobs.co.uk/latest_sightings.html and, although things had otherwise been a bit quiet of late, a trickle of Marsh Warblers has seen the ringing total for the spring rise to six, whilst the Gadwall remains and a Common Rosefinch (11th) and at least 3 Red-backed Shrikes have all also arrived. What next? Who knows... Fair Isle has never exactly been predictable, but this year is proving pretty amazing so far and there's still a while to go yet! Not bad, Mr P, not bad at all!! !